The graphic on the left shows the surprising results of my husband's mother's DNA. As far as we knew she was solid English and W.A.S.P. lines as far back as 10 generations. So the Yakut and Sub-Saharan African DNA, as small as it is, is a big surprise. I looked up Yakut and it is a small area in what is now Siberia so I'm guessing that's pretty far back in her ancestry. This is exciting for any genealogist and now hubs and I are embarking on a new quest. We want to see if there are gaps we missed in tracing his mom's side of the family tree. And of course the very exciting find which I talked about in a previous blog post called DNA Results Leave us Gob-Smacked! is that the man who my mother-in-law thought was her grandfather, was not. DNA matches have proven that another man was her grandfather and we've narrowed the candidates down to two in a certain family. 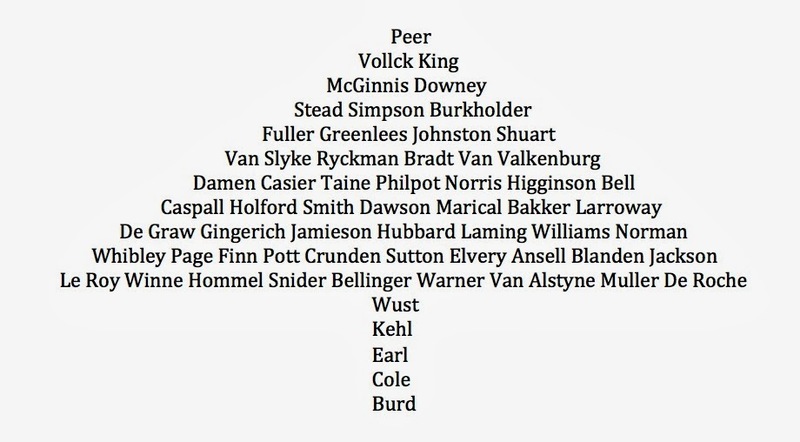 So I am going to research each of those two men's lines back as far as I can to see if we an spot a black ancestor there. We realize we're oversimplifying this task but we want to take a basic easy approach to the puzzle at this point. Wish us luck! Have you had any surprises in your DNA results? Recently senators voted 64 to 36 to approve an agreement containing Section 203. This section restricts access to the Death Master File (also called the SSDI) to certified individuals under a new program established under the Department of Commerce. The access restrictions are for 3 years from the date of death. Barbara Mathews has written an excellent blog post on the S.S.D.I. called What is it about genealogists and the SSDI? If you haven't done this already - at your next family gathering (Christmas, Thanksgiving....etc) gather everyone together for a group shot. Think of how much fun it will be for the young children in this photo to see this photo 50 years from now. So take your photo, print some copies and identify everyone on the back. It's all about preserving memories. Didn’t get a Flip-Pal Mobile Scanner for Christmas? Now’s your chance—until Jan. 2! Free Shipping on orders of $145 or more in the USA and Canada! Save $20 on the Flip-Pal mobile scanner and Deluxe Carry Case Bundle! (Regular price $209.97, Sale price $184.97) Make sure you always have freshly charged batteries! This bundle includes the Flip-Pal mobile scanner, a Deluxe Flip-Pal mobile scanner Carry Case and an Eneloop Battery Charger with four AA Rechargeable Batteries. Save $35 on the Flip-Pal mobile scanner Wi-Fi Travel Bundle! (Regular price $264.96, Sale price $229.96) Wirelessly transfer scans to your smartphone or tablet—plus have freshly charged batteries! This bundle includes a Flip-Pal mobile scanner, a Deluxe Carry Case, an Eneloop Battery Charger with four AA Rechargeable Batteries and an Eye-Fi Mobi 8GB Wi-Fi SDHC Card. Save $45 on the Flip-Pal mobile scanner Really Big Bundle! Yep, it's that time again! Last year I reviewed my 2012 genealogy goals and decided I needed to set less lofty standards for myself! 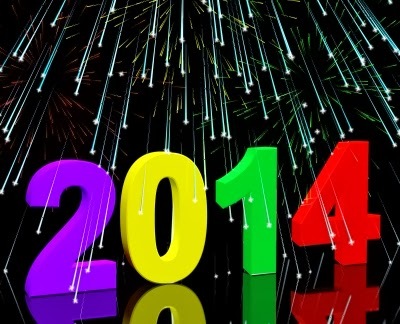 So I ended up with one goal in 2013 - to complete unfinished projects. 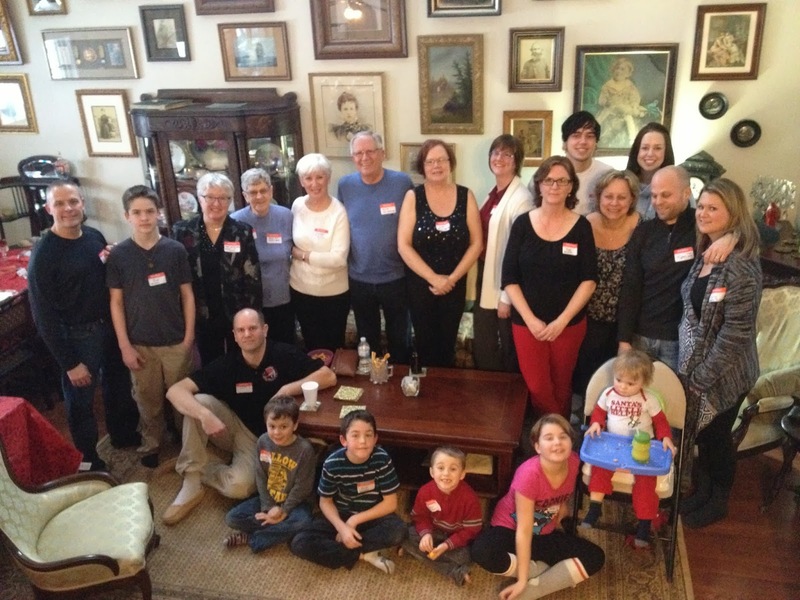 2013 Genealogy Goals - How Did I Do? Number one: I completed a genealogical mystery novel after two years of hard work. After 7 edits, I sent it to my beta readers and they returned their manuscripts this summer with suggestions for improvement. Based on comments I only need to rework the first two chapters and it's done! That's going to be number one on my list in 2013. Number two will be the book I started a year ago on Children's Genealogy Games & Activities. It is so close to completion that I am ashamed of myself for not finishing it months ago. I worked on this throughout October and November but it's not ready for publication. Number three is a Family Genealogy book I intended to give to my new sister-in-law at her wedding to my brother. I hate to say how long it's been sitting in Shutterfly, almost ready to publish. And now her sister wants to purchase two copies of it, sight unseen. That should be motivation for me to complete it! Number four is the next volume of my book on the Peer Family of North America. I have done all the research and need only to compile it into the various volumes then self-publish them. I plan to start in on one project and stick with it until it's completed. Easier said than done for someone like me! I tend so jump around from project to project. As one becomes tedious or begins to bore me, I work on another one for awhile. But I am convinced I have to change that for 2014. Ice Storm? We Laugh at Your Ice Storm! 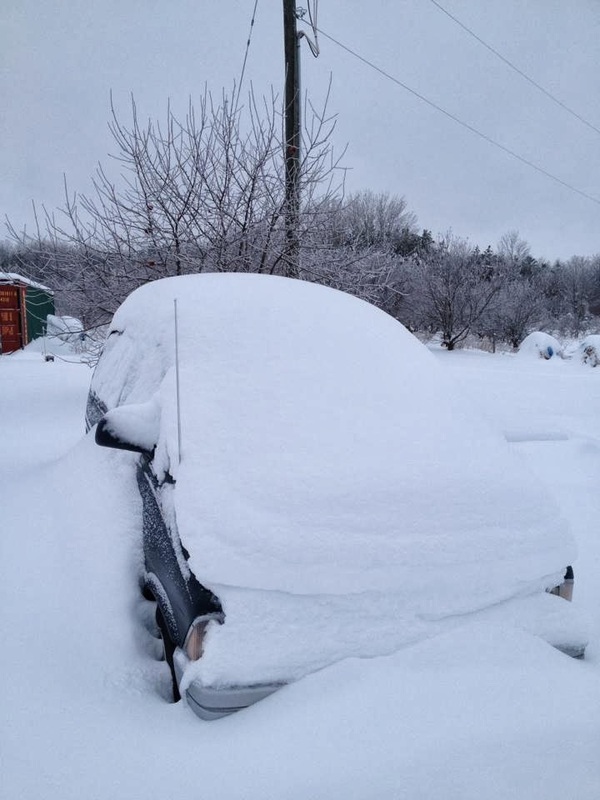 Many of us in N. America are experiencing extreme weather with tornadoes, thunderstorms, snow, flooding and freezing rain. In Ontario Canada we got hit with a bad ice storm over the weekend, and thousands are still without power. I thought you'd like to see how we Canadians handle bad weather! Stay warm and safe everyone! I hope everyone has power back before Christmas and that those without power have gone to family or had a generator or wood stove. Here's a photo of what we face this morning as we try to dig out. 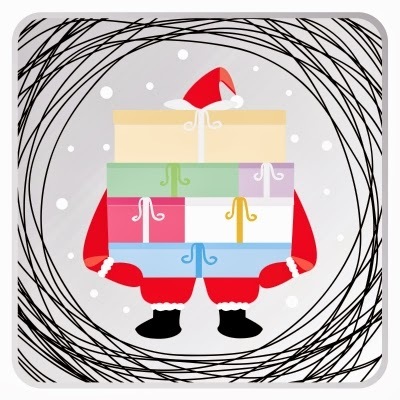 Thanks to FootnoteMaven for having her Blog Caroling Christmas Caroling again this year. Roots Tech has a mobile app that you may want to download if you're attending the conference February 6-8, 2014. The new mobile app lets you create a class schedule, learn about speakers, connect with other attendees, and more. 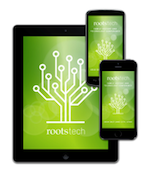 You can download the RootsTech mobile app from the App Store or from Google Play . If you don't have an iPhone, iPad, or Android device, see their web app. We're going to talk about paper Pile #1 and Pile #2 today. These consisted of your most important and valuable papers and documents. To refresh memories, Pile #1 consists of your most valuable ORIGINAL documents that you are not ever going to throw out or see ruined.There is probably a strong emotional attachment to most items in this pile. WHERE DO I STORE PAPERS FROM PILE #1? Remember my huge blanket box full of papers? That would almost certainly result in someone at some time in the future dumping the papers and using the box for storage of blankets or towels or some other household item. 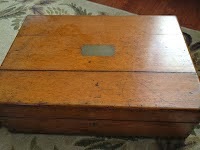 But the small antique box I use looks important enough to not be trashed and isn't big enough to store much more than the documents I've placed in it. WHAT DO I DO WITH PAPERS FROM PILE #2? Pile #2 is where you put papers that have meaning for you but are not as important or unique as Pile #1. You would like to see these documents survive and be passed on in the family but they do not have the same emotional attachment for you. Pile #2 is where you can be a bit more flexible. Remember this is the pile that contains items you didn't mind altering, keeping in mind that you have digital copies as a backup. Before I get to what you should do with Pile #2, let me show you some ways to create some nice items from both piles that you can pass on to other family members. You've scanned and digitized all the items in both piles. This is where I take my digital copies and create books in Shutterfly. See my YouTube Video Tutorial on Using Shutterfly. You can use any self-publishing service such as Blurb or Lulu or, for those in the USA, MyCanvas. The benefit of creating a coffee table sized book (30 pages or less) is that it looks professional and therefore important enough to keep and you can have multiple copies printed. This means you can give copies to family members and thus maximize your chances that at least one of those copies will survive in the future. Shutterfly keeps your original book which means you can have copies printed at any time. Blurb has restrictions on how long they will store your book so be sure to read any restrictions before starting your book. But what to do if you don't want to create a self-published book? Perhaps you don't want to undertake such a big project. Maybe you've never used Shutterfly or any self-publishing service and the task seems daunting. Perhaps it is just too expensive for your budget. That's okay because I have another solution for you. Consider creating an old-fashioned scrapbook. If you've been lucky enough to inherit a scrapbook that your mom or grandmother kept, you know the kind I mean. Or perhaps you kept one as a teenager - many of us gals glued in tickets from our first prom or a ribbon from a corsage given to us by a boyfriend. You can purchase acid-free scrapbook paper to create a lovely book that can be passed on to someone in the family. As you create your scrapbook remember that you are not going to use the original documents in Pile #1. Instead you will use copies. You've scanned them all so it will be easy to print copies on good quality paper. You can cut those copies up and glue them in your book. 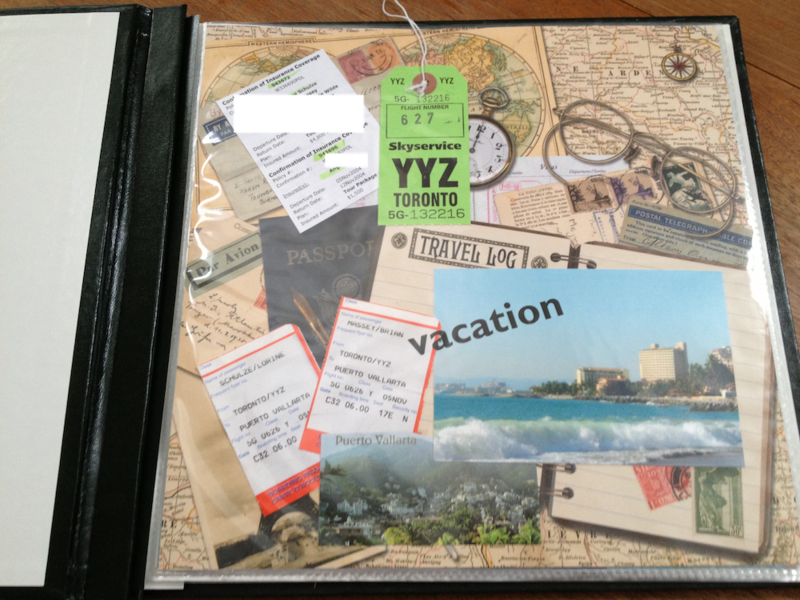 Using copies allows you to create more than one scrapbook. Pile #2 is where you have more flexibility because you can use the originals. The papers in this pile can be cut up or altered and used in your scrapbooks. These documents don't have to be handled as carefully as those in Pile #1. 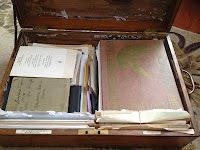 You are still preserving these papers for future descendants in book format. Glue them into a scrapbook. Cut them up and create a collage. The sky's the limit because you have digital copies and you can always print more. If you're going to make more than one scrapbook you have copies of the papers in Pile #2. I know that professional archivists will be gasping in horror at the thought of cutting up or using the originals from Pile #2 in a scrapbook but we are preserving them and creating a way to view them and enjoy them. YOUR SCRAPBOOK - FANCY OR PLAIN? 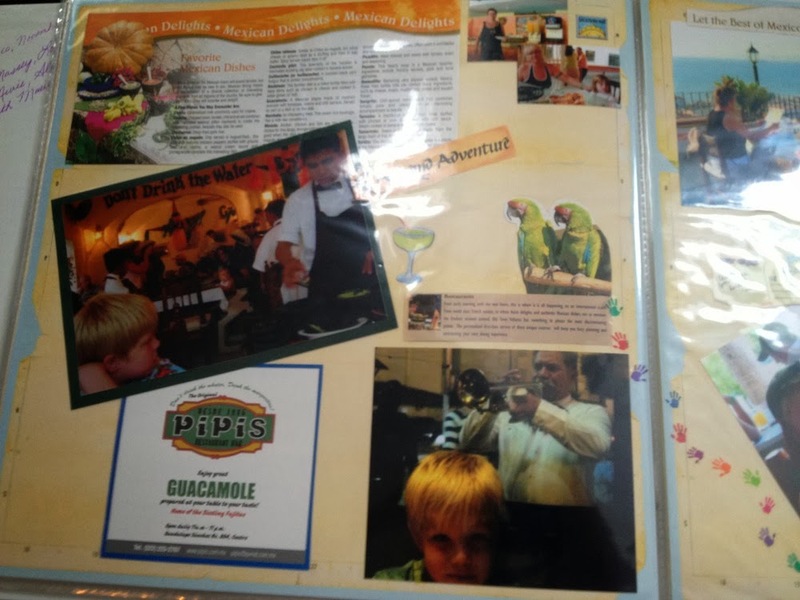 Your scrapbook can be as simple or as elaborate as you want. You can create fancy borders, add stickers or designs and be very creative or not, as you see fit. Remember your scrapbook does not have to be a work of art. The goal is to achieve a way of keeping these family papers together in a format that can be passed on. 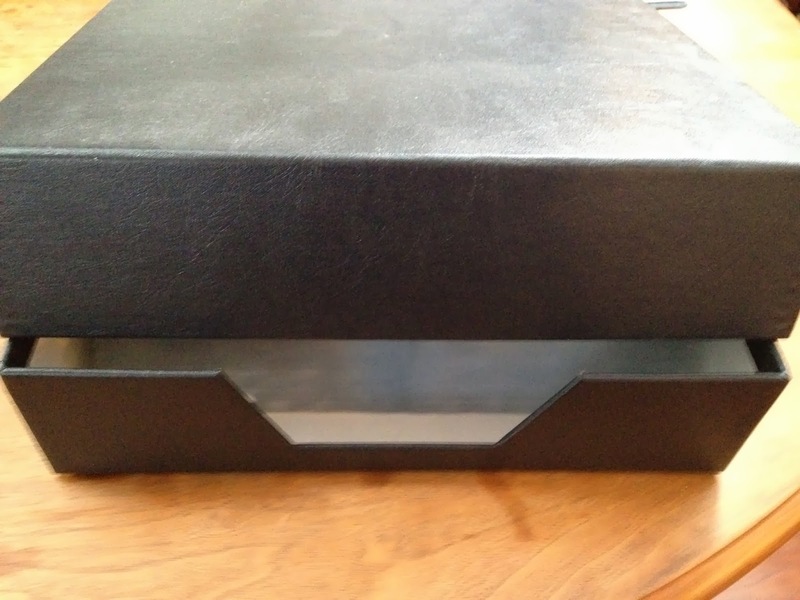 Since your goal is to maximize the chances that this scrapbook will survive and be passed on, you need to put more thought and time into creating the outside cover. The nicer and more professional the cover of your scrapbook looks, the more likely it will be treasured and preserved and given to yet another generation. My husband has a saying "If it looks like junk it will be treated like junk. If it looks important it will be treated with reverence." If creating a scrapbook or a self-published book seems too daunting or time-consuming you might choose to place your original documents from both piles in an archival binder to pass on to a family member at some point. You probably think this is the last post in this series. But guess what? We've talked about how to preserve, share and enjoy your ancestors' treasured paper records. But we haven't talked about you and your life and your documents! If you have descendants they are going to want to know about you, their ancestor. So keep watching this space for a new series on making sure you are keeping and preserving records about your life as well as the lives of your ancestors. 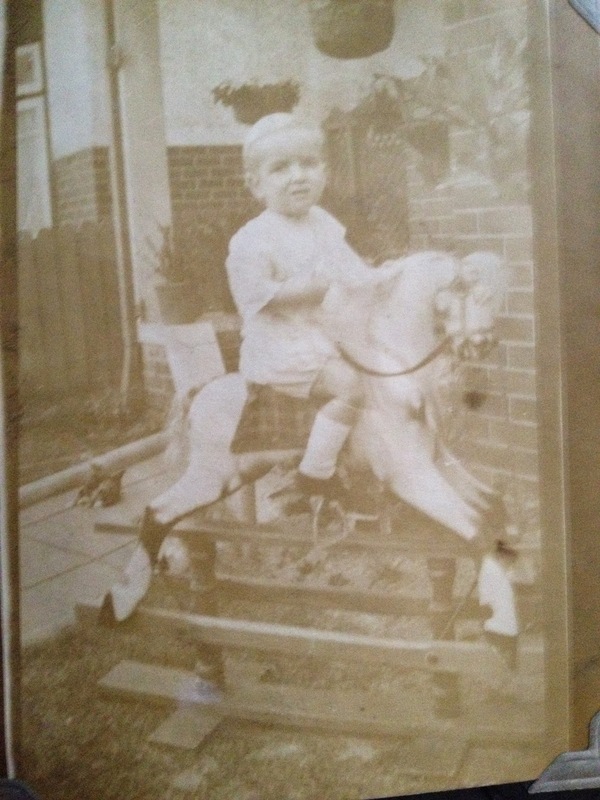 Continuing on with my WW1 Photo Album archive here is the 12th page in my mother's cousin Doris Simpson's album. Sadly I don't know who anyone is on this page! Today I'm going to show you how to handle all those tubs, filing cabinets and blanket boxes full of unsorted miscellaneous ephemera. Because you and I both know that we genealogists are savers. We save copies of documents we find. We save great-grandma's bill for flowers dated 1889. We save Grandpa's love letter to Grandma from WW1. Let me preface this blog post with saying that I am not including photos in this tutorial. That's a different subject with it's own issues but I'll talk about preserving your most precious photos in a future blog post. The problem is that it is extremely unlikely that anyone in the future will want to digitize all those papers. So we must do that now. But if we want to maximize the chances that the originals will still be in the family 100 years from now we have to go beyond digitization. Trust me, no one will want to keep a huge blanket box full of papers. It will be used for some other purpose or sold and the contents tossed out. But I have a few suggestions for how best to ensure that your family papers survive for many more generations to come. First you must scan and digitize all of these papers. Save the scans to your computer, to a cloud service (or several cloud services), burn them to a CD ROM, put copies on a flash drive or an external hard drive and share them with family members. Now you must sort those papers. If you're like me that is difficult. They are all treasures to me. But sorting is necessary and you will need to make 3 piles based on the importance or value of each document. The criteria for creating these 3 piles will differ from person to person but let me quickly define my criteria. b) the amount of information or story the document holds. 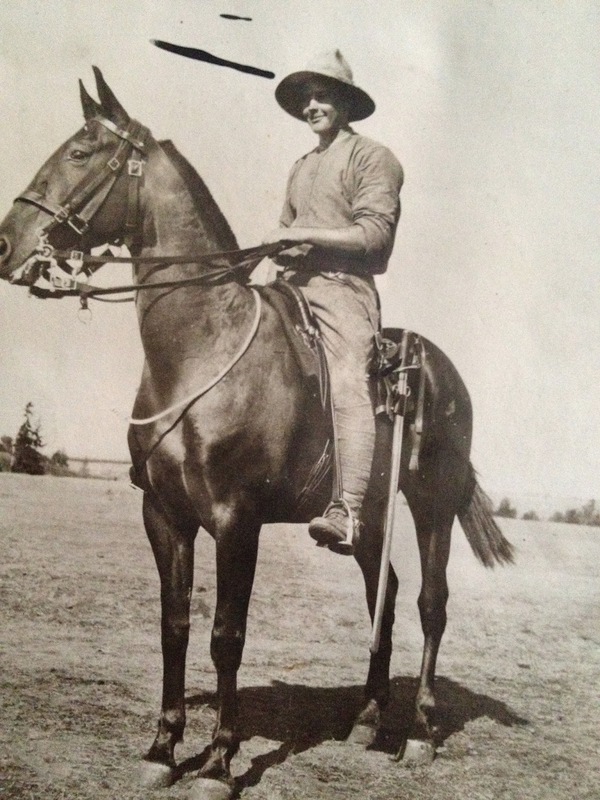 The story it holds is not the same as the number of words, it is the detail within and how it sets my ancestor in history. 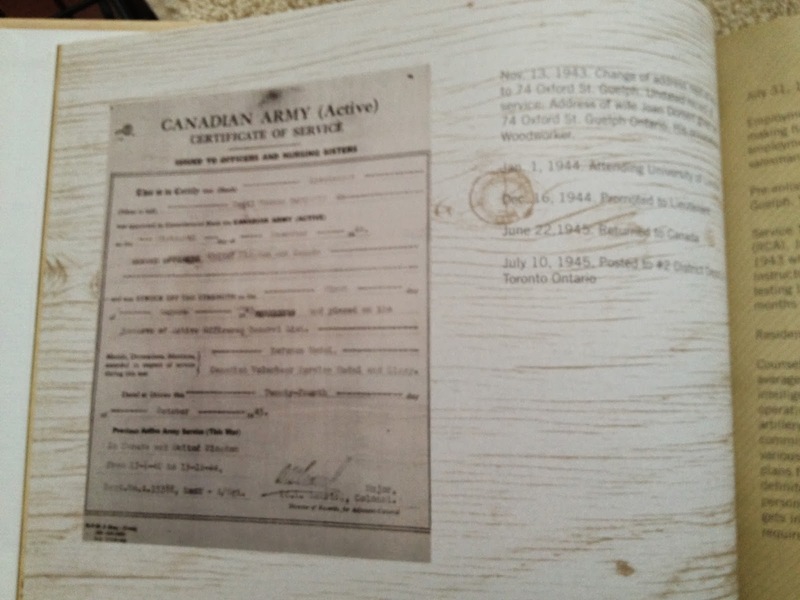 For example a military discharge certificate tells a huge story about my grandfather even though there are very few words on it. c) how unique the document is. In other words if I have my mother's report card from 1922 that might be difficult or impossible to get from any other source. It is a one-of-a-kind document and is thus valuable. Determine your criteria for prioritizing your documents and then you're ready to sort into your 3 piles. Pile #1 consists of your most valuable ORIGINAL documents that you are not ever going to throw out or see ruined. I stressed original because this is not where you put copies of images of census records that you found online. Instead these would be such items as that WW1 love letter from Grandpa to Grandma, your uncle's military discharge papers, your dad's death certificate, or your grandmother's baptism record. You probably have a strong emotional attachment to items in this pile and you likely feel they are of historical importance. Pile #2 This is where you put papers that have meaning for you but are not as important or unique as Pile #1. You would like to see these documents survive and be passed on in the family but they do not have the same emotional pull for you. This pile might include such things as a newspaper clipping from Grandma's scrapbook, or Christmas cards that were sent to an ancestor from one of their friends. Perhaps there is a Valentine's card from Grandpa to Grandma with only his signature. In other words these are items that you find interesting or your parents or grandparents treasured but they don't carry the same weight in your mind as the items in Pile #1. This is a very personal decision as to what is most important or valuable and what is of lessor importance. Pile #3 is the toss pile. For me personally there is a good chance there will be nothing in this pile! I should purge but I will have a difficult time doing so. But the more papers you have in your possession the more ruthless you will need to be. If you can bring yourself to create this pile, please do. To show you how difficult a toss pile is for me, I have a ticket stub for a dance that my mother had in her possessions. I don't know the story behind this ticket. I don't know when the dance took place. I don't know why my mother kept it. So it has no meaning, no story behind it. I should toss it. But I doubt I will. You may also wish to consider creating a 4th Pile. Pile #4 consists of original documents that you are willing to pass on to other family members right now. If you aren't prepared to do this or there is no one in your family who is ready or willing to accept some of the items, that's fine. But consider doing this as it will reduce the stress on family who may be left to decide who gets what after you are gone. As an example you can see in my photos above that I have a serviette (napkin) from my brother's first wedding in the 1950s. It has the names of the bride and groom and the date of the wedding so it holds important details. I don't really want that napkin but perhaps one of his children would like to take over as guardian and keeper! As well I have two birth announcements for two of my nieces. They include photos of each baby at birth, plus details of time of birth, weight, size, parents' names etc. Those notices aren't important for me to keep any longer and I think it is time to put them in Pile #4 then pop them in envelopes and mail to my nieces. In my next blog post I will talk about what we're going to do with Pile #1 and Pile #2 in order to maximize our chances that those papers will still be in the family 100 years from now. You can follow these upcoming blog posts by choosing the topic "Preserving Paper Treasures" from the right hand side bar. See that pile of floppy discs beside my laptop? That's called obsolete technology. I haven't got a computer or laptop that will read them. I could, with a great deal of effort, get my hands on something that would allow me to look through those discs and extract any information I might want to keep. But I won't. That's way too much work and time and effort! And this is but one example of outdated technology. At the time didn't we all figure we could digitize our documents, create our files and save them until we wanted/needed them? But that is what happens with the rapid advance of technology. We end up with important data that can't be read in 5, 10, 15 or more years from when we created it. 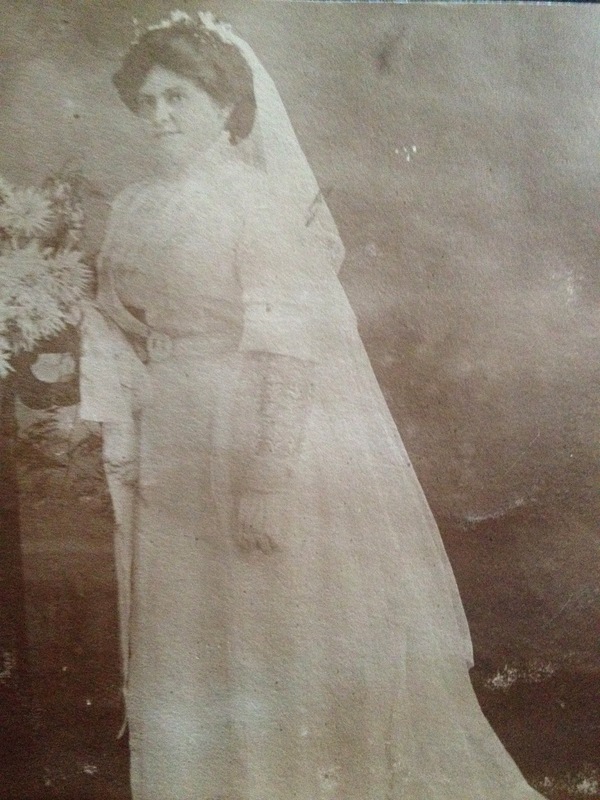 As genealogists we save documents, whether original or copies. We need that marriage license of our great-grandparents. We treasure the original 1918 bill for Grandpa Bob's funeral. The push is on to digitize them, to go paperless. But let's be realistic! Will we be able to read or access those treasured digitized items in 10 years or 20 years time? Sure we saved a copy on our harddrive but computers crash and data is lost. We saved a copy to the Cloud, that was good wasn't it? But we have zero control over cloud services and they may disappear overnight, or there could be a catastrophic failure and saved data is lost. We have copies on CDs and flash drives and external hard drives and we've shared some of those with family. We're covered, right? Wrong. CDs and flash drives might not be readable in the future, just as those little floppy discs are unreadable to most of us. Even if the cloud with our digitized documents is still there, if you are no longer around, is there anyone in your family who knows your password or has the technical skills to get to it? 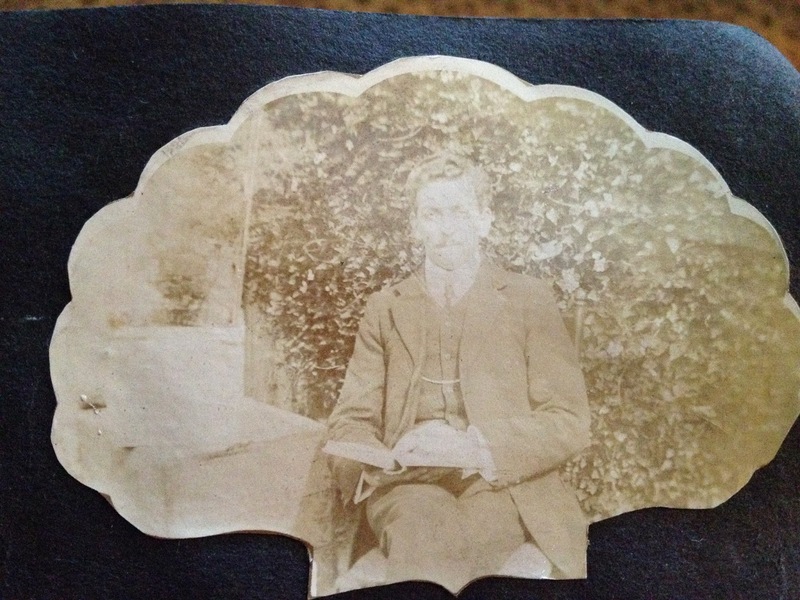 So what's a genealogist to do? Well, first of all you should absolutely digitize your papers and photos and save them in every spot you can think of! The more backups the better. But don't be too quick to throw out those paper originals! But where do you keep them? How do you ensure they get saved and passed on to future generations? I keep mine in a very large antique blanket box. It's about 2 feet by 3 feet and is used as a coffee table. It's full of paper documents. But I know that at some point in the future someone (most likely one of my grandson's wives, or a granddaughter) will almost certainly look at that blanket box and think "Hmmmm I could store a lot of bedding in here! And what's with these papers? Holy cow, do we really need to give up good storage space for my husband's great grandmother's driver's licence or her marriage certificate?" And his grandpa's death certificate!!??" And the papers I have treasured and saved for future generations will be tossed. So what do we do? 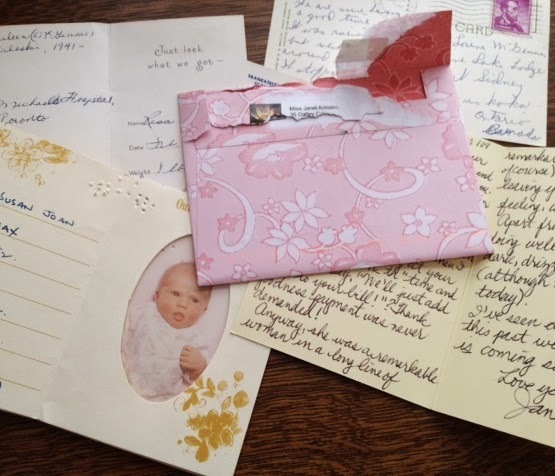 How do we get the maximum chances that our paper ephemera will be kept by future generations? In the next few blog posts I'm going to show you several different plans for preserving these paper documents and treasures such as Great Grandmother Harriet's baptism certificate or Great uncle Syd's military discharge papers. Judy G. Russell of The Legal Genealogist blog explains some new DNA tools so well I think you should just read hers. It's called Updated DNA tools and you can read it by clicking on the title. After reading Judy's post I logged in to my husband's account and saw that at last his African ancestry has been confirmed! We knew he had a black ancestor, Jonathan Butler, who came from Pennsylvania to Upper Canada (present day Ontario) around 1808 but we had never seen it confirmed through DNA. Not only is it confirmed but we have a more precise location - East Africa! We also see, for the first time, a small % of East Asian/Native American. That will be interesting to try to pinpoint. 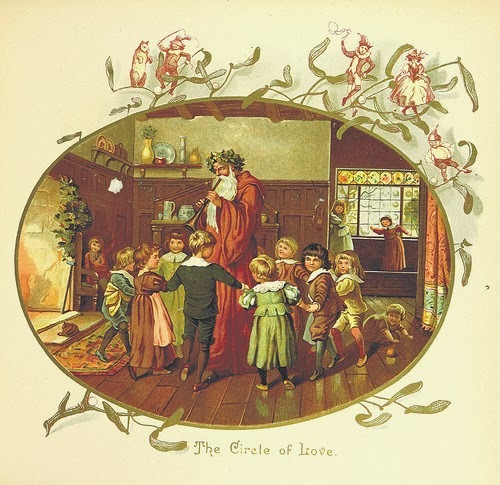 Title: "The Coming of Father Christmas"
Shelfmark: "British Library HMNTS 11650.f.64." Publisher: F. Warne & Co. 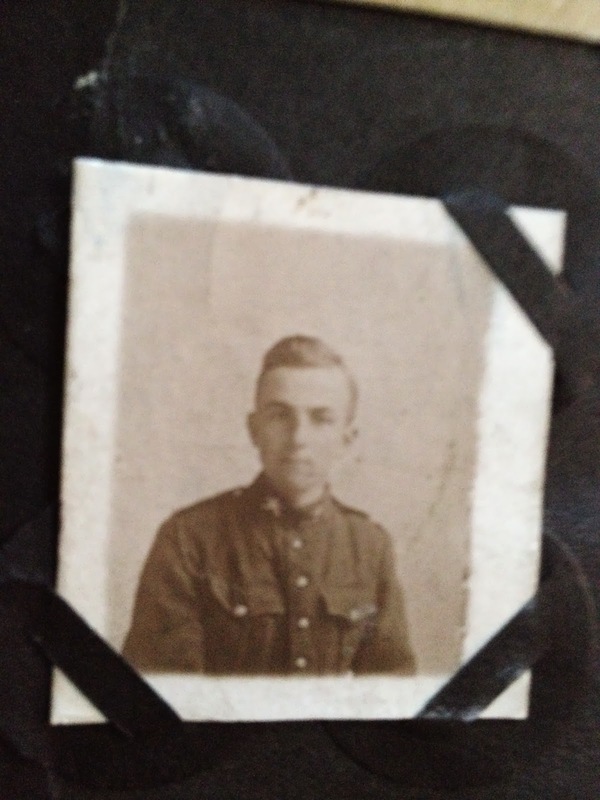 Continuing on with my WW1 Photo Album archive here is the 11th page in my mother's cousin Doris Simpson's album. 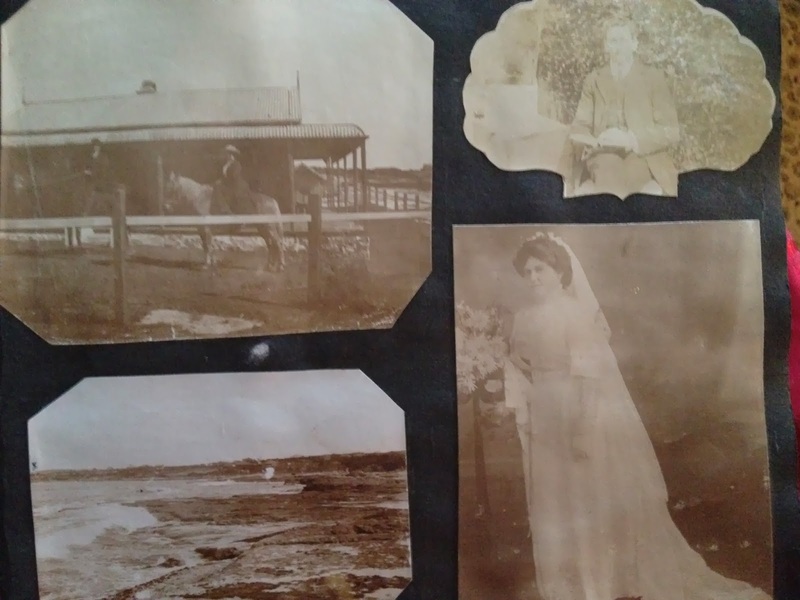 There were only 3 photos on this page and the only person I can identify is the bottom photo of my grandmother's brother Sydney Simpson. Claire sends photos of this American Dog Tag. Her grandfather found it in or near Whittington Barracks, Lichfield, England. 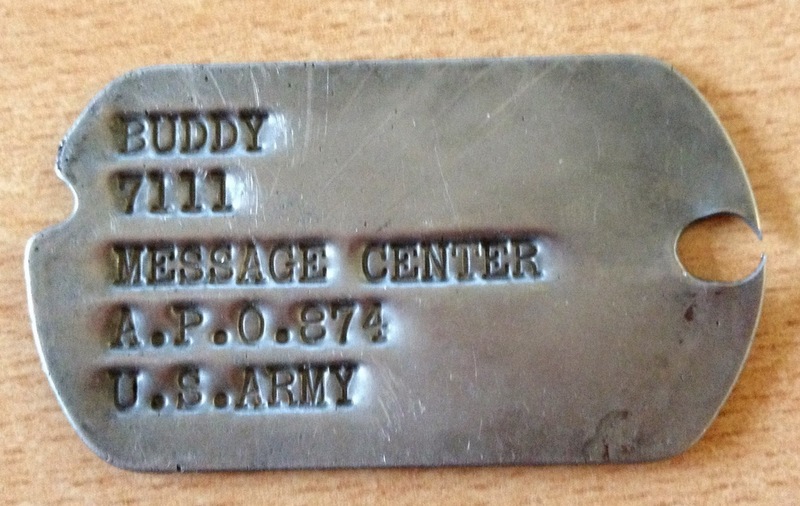 With only one name (Buddy) it seems like a rather unusual soldier's dog tag to me. I'm wondering if the U.S. Army used dogs and issued tags for them. 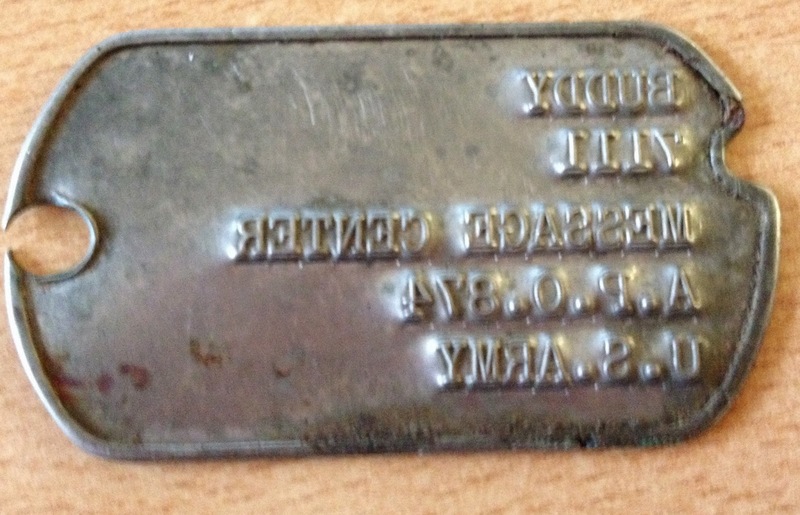 We have five unsolved cases of soldiers' dog tags for anyone wanting to put on their sleuthing hat! To my readers: I wrote this jingle this morning to reflect my version of The 12 Days of Christmas for genealogists. 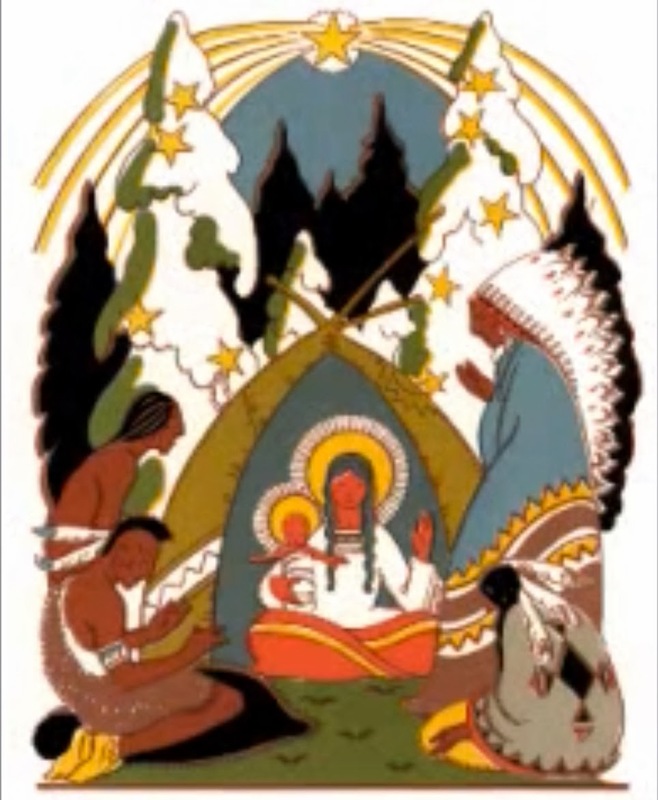 This is the earliest family Christmas photo I have. I'm not there so I suspect this was taken in 1945 or 1946. 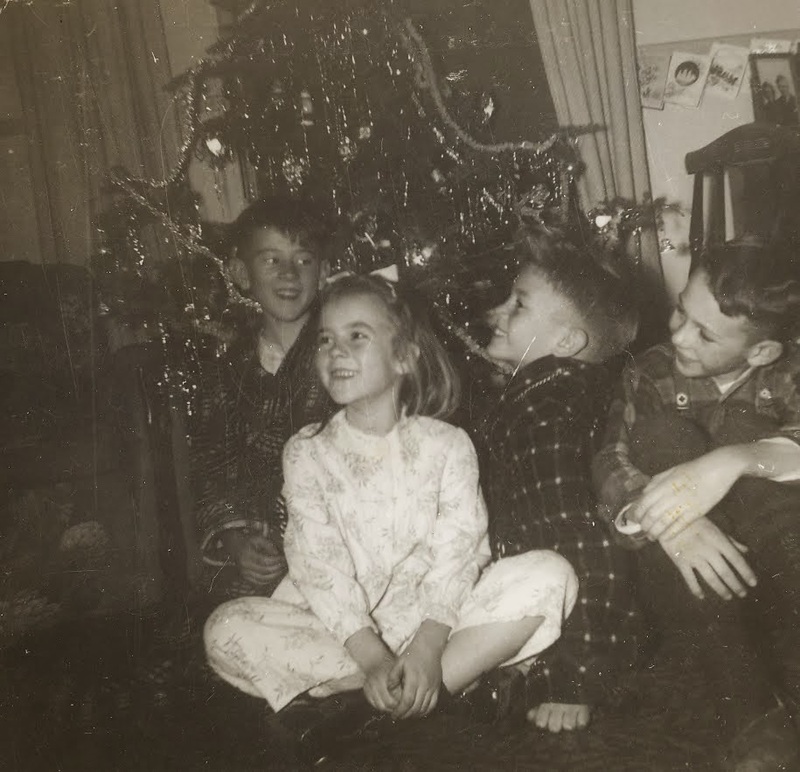 The photo looks like it was taken in my Grandmother's house in Guelph Ontario Canada and it includes my 3 siblings and my cousin. After this photo there's a jump of 10 or more years before another Christmas picture! It too was taken at Grandma's house and I'm wondering if we didn't own a camera. Otherwise I can't explain why we have no family Christmas photos except these. 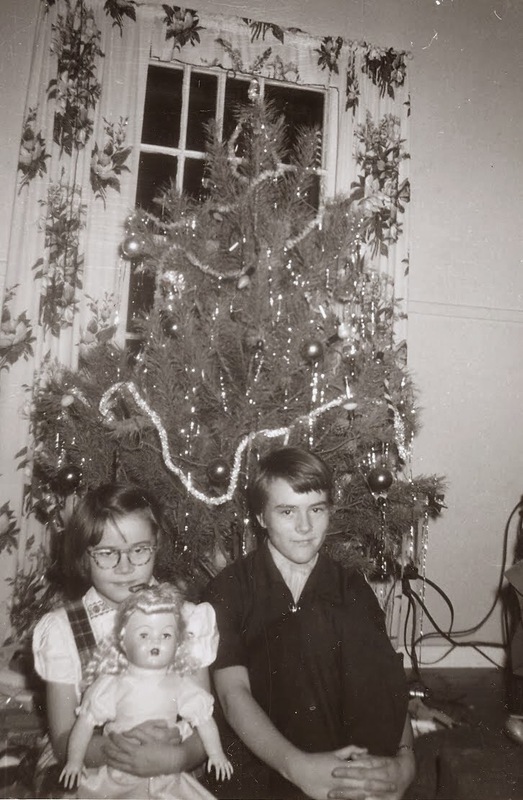 This photo is of me (with the doll) and my sister. We don't look very happy so I've always wondered what was happening. I should have been ecstatic because that doll was the one I wanted more than anything that year. If you held its little arms it walked! The legs were articulated and that was quite thrilling to me. But we were very poor and I knew there was a good chance I would not get that doll because it was too expensive. I do recall how thrilled I was to see it! 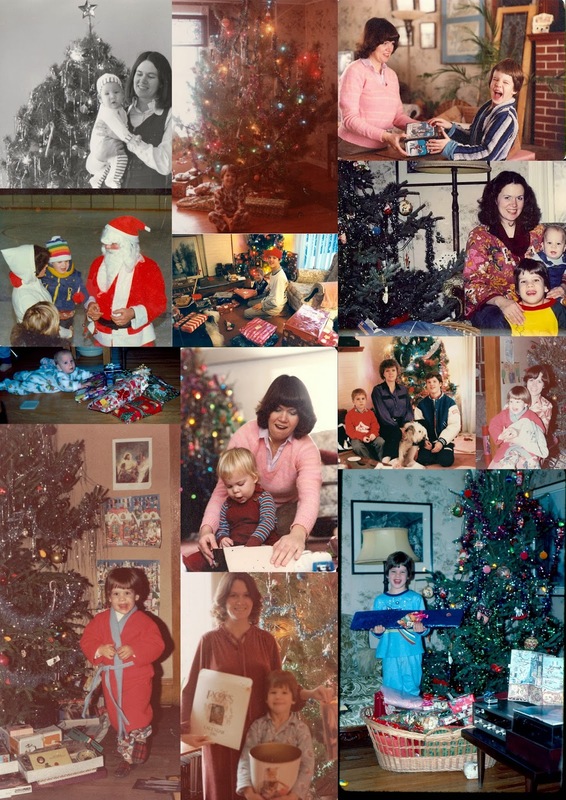 Do you have early Christmas photos? I wish I had some of my mom or dad as children but there are none. I often wonder how my grandparents celebrated Christmas but there's no one left to ask. This surprise from WestJet is amazing. Watch Santa surprise a plane load of passengers. A rather lively discussion of Copyright went on yesterday in a Facebook group. Sadly it degenerated into a couple of participants engaging in name-calling and emotional tirades. But the topic is important and I have been thinking about it more this morning. One the one side were those who insisted that if you put something online (a family tree, an article, a photo) you must be prepared for it to be taken and used without your permission. A few declared that if we don't want our work taken then don't put it online. Then there were those who mistakenly thought that as long as the item(s) taken were not being sold or used to make money in some way, it was okay. Those groups are wrong. We should not simply shrug our shoulders and ignore copyright violations. Anything original online is immediately under copyright and deserves our protection. That's where education comes in. 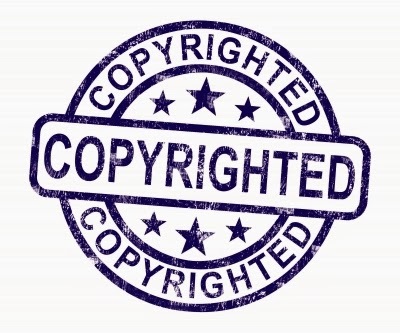 Many times people violate copyright because they truly do not understand how the internet works and what the copyright laws are. In response to the suggestion that if we don't want our work taken, don't put it online - if we independent webmasters stopped putting articles, photos, and data collections online, all the free websites and blogs would quickly disappear. As for the misconception that as long as the stolen work is not being used to profit the person who took it without permission, it does not matter what the intent is. Taking published work without permission violates copyright. Basically it means if I write and publish an article on my blog or my website, and you copy it without my permission and republish it elsewhere, you violated my copyright. It does not matter whether or not you gave attribution to me as the author, it's still a copyright violation.